This looks pretty sweet : ) It looks straight from the creator - like an unedited scan. What image did you use? Or did you make this from scratch? This pretty good, and I've taken a liking to it ^_^ Your skill in CG doesn't look like it's faltered at all - from what I can see, it has improved :) Keep it up! Hey, this looks pretty good. I like the way you painted and smudge a bit of everything and your cg skills are awesome! I can tell you that I think you've improved so far and that I like the outcome of this wallpaper. It'd be interestening to see the original scan so I could compare both a little more but nethertheless I like the outcome anyways so it's not that urgent. 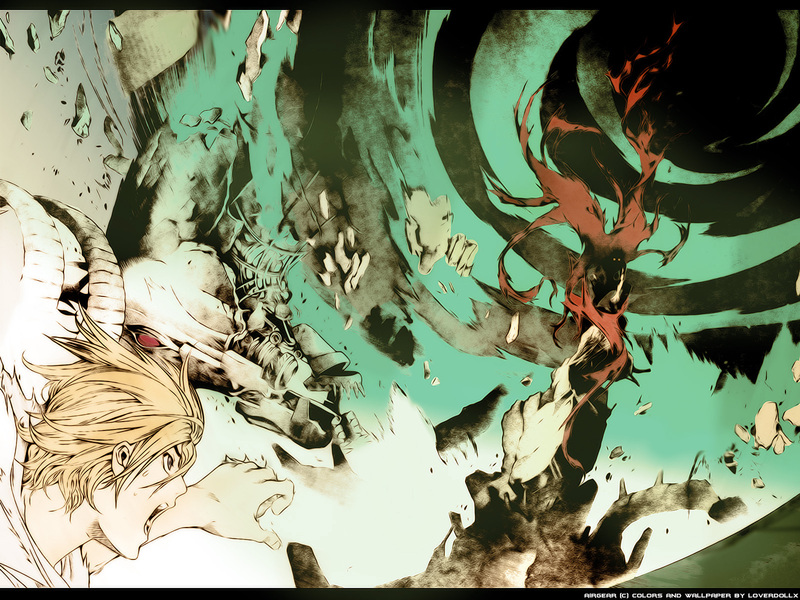 awesome wallpaper, big fan of air gear, love the upload. This is the scene where Spitfire dies?